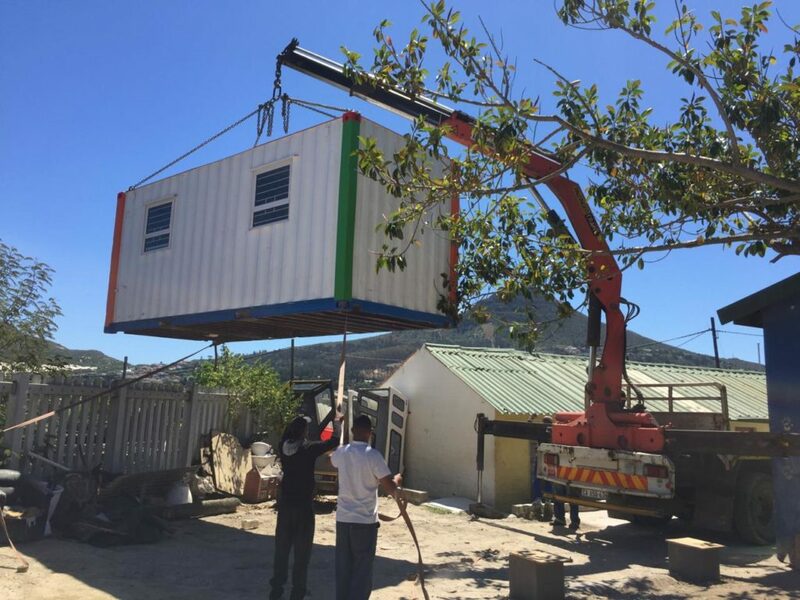 The principal, teachers and families of Siluncedo Day Centre in Hout Bay welcomed a new kitchen facility today, installed thanks to a partnership between the Afri-CAN Children’s Charity and Breadline Africa. The six-metre converted container provides a much larger, lighter kitchen space, where nutritious meals for Siluncedo’s children can be prepared with proper attention to food safety and hygiene. Siluncedo fulfils a vital role in the Hout Bay community, offering childcare and education to the 98 children in its care, who range in age from birth to six years. “Like many early childhood development centres in disadvantaged communities, Siluncedo has been offering its families an essential service with limited resources and facilities,” says Afri-CAN Programme Director Camille Paterson. This is the first of three installations planned by Afri-CAN and Breadline Africa in the coming months. With Afri-CAN’s focus on early childhood development centres so that vulnerable children are ‘school-ready’, and Breadline Africa’s emphasis on infrastructure investments, the partners are working together to improve early childhood development centres in Cape Town’s townships – starting in Hout Bay. This entry was posted in Afri-CAN South Africa, Early Childhood Development Nurseries. Bookmark the permalink.